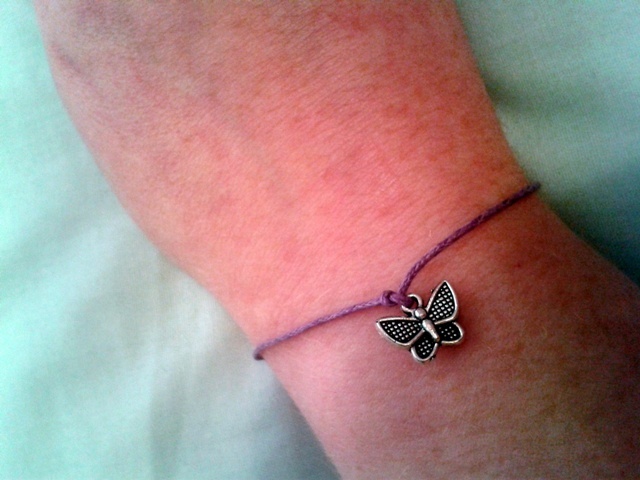 The lovely Rachel from Life of a Sweetaholic recently launched her new online shop Sweetaholic Charms selling the cutest charms bracelets. Rachel kindly sent me two of the bracelets to feature. 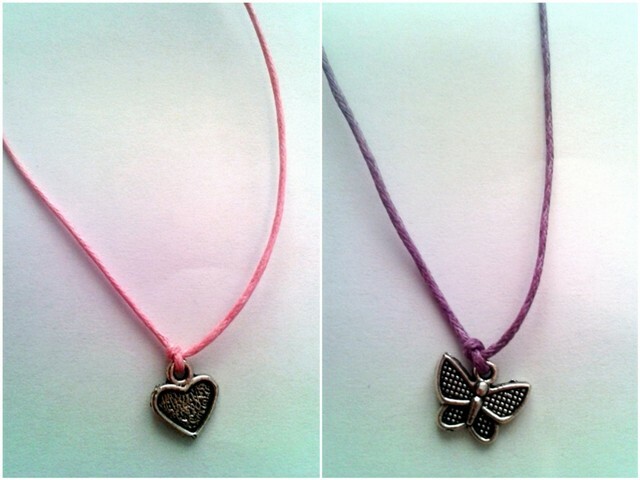 I chose the silver heart charm on baby pink cotton and the silver butterfly charm on lilac cotton. 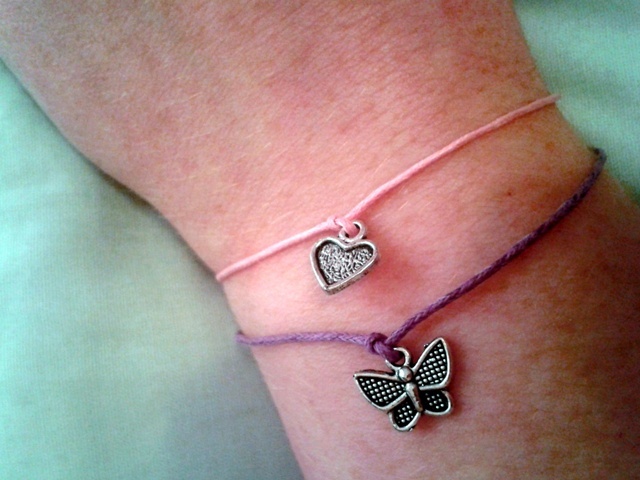 Both of these bracelets retail at a bargain £1.00 each! The standard length of the cotton on each bracelet is 30cm meaning you can trim it to get the perfect fit. You can personalise your bracelet by choosing from white, dark pink, baby pink, teal and lilac waxed cotton. As well as the heart and the butterfly charms you can choose from a multi coloured flower bead bracelet featuring five coloured flower beads for just 75p and a cute silver cupcake charm bracelet priced at £1.20. I love this style of dainty charm bracelet, they're so easy to wear and look cute worn alone or layered together. The baby pink and lilac coloured cottons really compliment each other and the charms are great quality. The bracelets would make lovely gifts and with such bargain prices there's no reason not to treat yourself to a few as well! Orders are packed in pretty tissue paper and sent via Royal Mail first class. Rachel even includes a sweet treat with each order... which I ate too quickly to photograph! 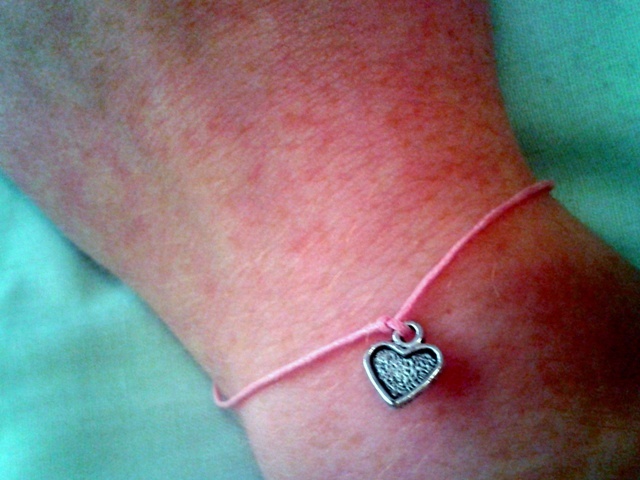 Those are so sweet and affordable, I love little cord bracelets! How absolutely beautiful! Adore them! Caroline, they ar really cute!